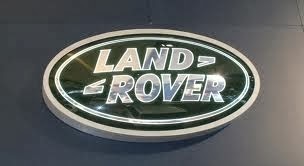 Land Rover Defender 90 200tdi. 1993 FOR SALE Unfinished restoration project Modifications - 2" Suspension lift, Mud terrain tires all round, Rock sliders, Heavy duty off road bumper, Winch (only been used a few times) Steering guard, Raised wheel arches and Performance intercooler. Registered with four seats, three in front and one in rear. I'm going to be honest as can be seen in the pictures, there is damage to the defender; It was a utility 4x4 but I rolled it at low speed in 2011. I then took roof, doors and sides off it. I had the chassis check by local 4x4 specialist, it was fine and the only damage underneath was a bend steering bar. I started restoring the truck, fitted new steering bar but it still needs tracking. I bought a new suspension turret as one needed replacing but never got round to fitting. The 90 did start first time, I used to drive up and down my lane every few weeks. This has not been clamed on insurance and therefore it's not written off, or has any registered category damage. I have not had the landy going for a few mouths as the battery is flat, the brakes will probably need releasing as it's been stationary. It will need to be recovered or towed upon collection. I'm selling, as I no longer have the time to restore the land rover, this truck was my first vehicle when I was 17 and I rolled it in a under few month of buying. This was a beast of land rover, therefore I would like to sell to someone who is keen to restore it to its original form. As it's a brilliant truck and even through it missing the roof, it still has loads of potential. No MOT and currently SORN, so no tax. Viewing welcome, North Powys, Mid Wales. Thanks.